SparkSupport’s Cloud Arm ‘SparkMyCloud’ has created another milestone on this September 18th,2014. SparkMyCloud has been choosen as one of Onapp’s distributor/integrator support partners from India.This has been announced two days after Onapp being purchased the SolusVM,the virtual private server management system. This is for the first time a purely Indian based Cloud MSP has joined hands with Onapp,world’s most trusted Infrastructure-as-a-Service software for hosts, telcos and MSPs. 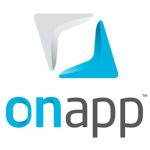 OnApp has more than 3,000 clients in 87 countries, served by 140 staff at offices in the US, UK, Europe and Asia-Pacific. OnApp is now the leading cloud platform for service providers, powering an estimated 1 in 3 public clouds around the world, and many other private, VPS and hybrid cloud services for hosts, telcos and MSPs. Onapp Partners has selected SparkMyCloud as one of their support partners considering their solid experience working with several Onapp clients and managing their cloud infrastructure setup. Having had immense work arounds with Onapp clients on managing their cloud infrastructure setup,has gained us this partnership ! OnApp Cloud, OnApp CDN and OnApp Storage and also cloud enablement,brokerage, migration,and handling various cloud infras !